For quite some time now readers of this blog have asked us to write some posts explaining the legal market to those wishing to work in it, and even to offer career advice to young lawyers. We haven’t done that because we, obviously, are not really in a position to give career advice to anyone (much less are we capable of making sense out of the legal market !). But then we thought we know someone who could do just that. So we have asked Steve Meier, quite possibly the best headhunter recruiter you’ve never heard of (considering his trade, the fact that you may not have heard of him reveals a level of discretion that is an excellent sign). In a series of four guest posts Steve will be sharing his views on how young (and not so young) lawyers can successfully navigate the Brussels legal market. We leave you with him. Please feel free to post your own views or questions as comments to these posts. Hi everyone, and thanks to Chillin’Competition for this opportunity. Let me take a moment to mention that some firms are moving away from rigid banding to more merit-based systems where top-performing attorneys are rewarded with higher compensation and/or greater responsibilities. Nonetheless, the majority of firms still use banding, and reference to it can provide useful guidance to help you benchmark yourself to your contemporaries. You might have a look at the overview of Brussels lawyer profiles located on the “Working with Us” page of our website by clicking here. In this post we will focus on the first band and on recruiting issues affecting the most junior lawyers. First and foremost, anyone with less than about two years of post-qualification experience should generally not work with recruiters – even us! Other recruiters will never tell you this; I just did. Working with recruiters before you have a couple of years of post-qualification experience can be detrimental to your career, not least because it can actually keep you from getting your all-important first job. Some recruiters (see “Introducing . . . Shotgun Sam“) will promise you everything, but they ultimately deliver much less than promised. They will tell you that you cannot possibly find work without their “help” or that they have direct access to key decision-makers at every law firm. Be wary! As a practical illustration, you might consider the following scenario: imagine that a recruiter submits your details to virtually every firm in the market; imagine further that, for whatever reason, your application gets no traction. After a few frustrating months you decide to take matters into your own hands. You may be unaware of this, but the recruiter is deemed to “own” your candidacy for a period of up to twelve months, and consequently the opportunity to look for a job yourself during that time is severely limited. Even if one or another of those firms might be inclined to give you a try on the basis of a direct application, the previous involvement of the recruiter will make them think twice. As a young lawyer looking to get your foot in the door and to prove yourself, in this scenario it would have been much better for you to have made direct applications in the first place. Things evolve at firms: although there may be no suitable role today, there may be one in six months, and nothing keeps you from reapplying as circumstances change; however, a recruiter’s previous involvement will almost always keep you out of the running. Do not fear trainee contracts. Until you have proven yourself in practice with a couple of years of experience under your belt, firms will want an opportunity to determine whether you are right for a career in private practice (let’s face it, not everyone is). The interview process can reveal only so much about you and your suitability for the job. 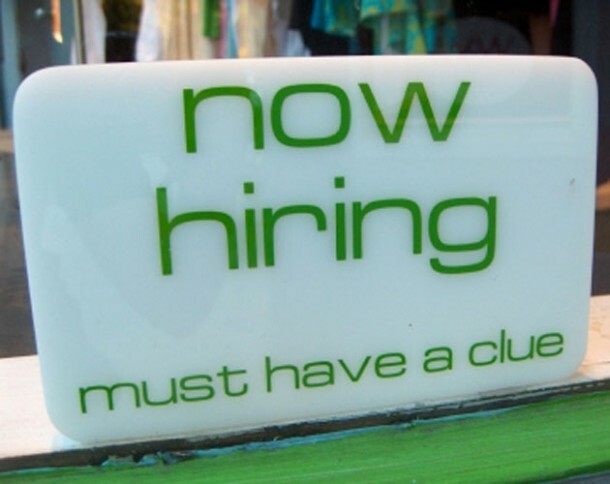 The fact is that more and more firms are hiring young attorneys on a “look-see” basis, deciding only after six or twelve months of working together on a fixed-term or trainee basis whether they want to hire the attorney permanently; even firms that hire permanent associates do so subject to at least a six- or twelve-month probation period. That being so, you should give consideration to job offers even if they are trainee contracts. If you do a great job, trainee contracts can lead to great permanent positions! Seek honest career advice and guidance. Even though we believe that young attorneys should not work with recruiters, reputable recruiters can be a source of career advice and guidance. For our part, we are always happy to give advice to promising young lawyers. We can give you our view of market opportunities, point you in the right direction, or even help with your CV (see “How to Prepare a More Effective CV“). I was once a young lawyer and I wish that I had had someone to talk to about the market and my place in it. It is likely during your first couple of years in practice that some recruiters may bombard you (and all of your friends and colleagues!) with calls and emails seeking to move you from one firm to another: they move you from Smith & Jones to Jones & Smith and thereby create an additional fee opportunity for themselves by moving someone else to fill the role that you just vacated at Smith & Jones! This is called “churning the market” and it is despicable! Market churning is a cynical way that certain recruiters generate additional fees for themselves and has nothing to do with enhancing your career. They will tell you that the new role is “absolutely perfect” for you, that the new firm offers great opportunities for advancement, that there are genuine partnership prospects. Yes, there are recruiters actually telling 3PQE lawyers that they already have a real crack at partnership! But never forget: if something seems too good to be true, it almost always is! Recruiters who are more interested in fee generation than career advice and guidance will invariably fail to tell you that moving too soon or too often will raise questions from future potential employers about your reliability and, indeed, about your suitability as a lawyer. Will you be seen as someone who gives up at the first sign of difficulty, as someone who will never be satisfied, as someone who was obliged to move because you did not perform well? Sometimes staying where you are is the best option, especially in formative stages of your career. There will be ups and downs throughout your entire career, but if you are seen to “cut and run” every time you hit a rough patch, you will not be taken seriously as a candidate. We recently dealt with a candidate who has held (I do not exaggerate!) seven positions in the last five years. With no apparent sense of irony, he considers himself to be a very strong candidate, with demonstrated diversity of experience; employers consider him to be flaky. When young lawyers approach us for guidance, we almost always urge them to stay put for at least two years whenever possible. Obviously, if you have been asked to leave or if your situation is so bad that it is affecting your health, for example, then you must move. In most cases, though, you should try to work through the difficulties. Do not leave a job simply because Shotgun Sam has told you that the grass is greener in the next field over; it almost never is. Finding your first job in Brussels. take care to communicate in the appropriate language (i.e, if the firm’s lingua franca is clearly English, do not send a CV and cover letter in French). My best and favorite piece of advice to young lawyers is simply this: follow your bliss! Do what makes you happy. If you do something that you really enjoy and that gets you jumping out of bed in the morning, you will be successful, irrespective of how you may define “success”. Next time: We will focus on 2-5PQE lawyers and some of the issues and challenges they face. No doubt this post offers much welcome guidance on finding a position in Brussels and elsewhere. Having moved from being a competition lawyer for 4+ years in Brussels to launching start-ups, I would like to offer my own piece of advice. While a career in law firms is well worth considering or holding to, today’s first-time candidates as well as lawyers who did not made their way up to partnership should also ponder about the very future of the profession. Given the surge of artificial intelligence (AI) and the so-called workplace automation, many predicts that lawyers are equally at risk of losing their jobs than less qualified professionals. To those willing to dig further into this topic I recommend reading this TechInsider piece (http://bit.ly/1Qs99gs) and the more formal insights from McKinsey (http://bit.ly/1WFyimO). Good luck to all and let’s be optimistic: the legal market is here to stay, but probably not the one we are used to. No doubt this post offers much welcome guidance on finding a position in Brussels and elsewhere. Having moved from being a competition Immigration Lawyer Halifax for 4+ years in Brussels to launching start-ups, I would like to offer my own piece of advice.